The OpticBook 3800 is a new version of the popular Plustek flatbed scanner optimised for book scanning. It offers quick and high-quality scanning of your books without text distortion, black edges or shadows from a book spine. 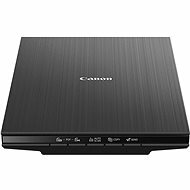 This device allows you to scan texts that are very close to the edge of the page and transfer scanned data directly to the printer. The device is equipped with a new SEE (shadow elimination element) technology, so we do not need to crease the spine of the book or to scan both pages at the same time. 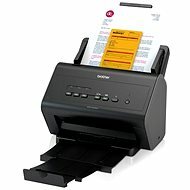 The scanner has a modified edge and a special lamp with curved edges, thus it is easy to scan the entire page. The machine has an optical resolution of 1200dpi and can scan a document up to a maximum size of 216 × 297 mm. The performance of this device is up to 2500 sheets per day! 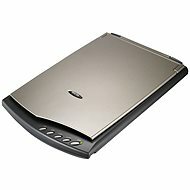 The scanner is compatible with the operating systems Microsoft Windows 2000, XP, Vista, and 7. An external adapter is required for the power supply, which is included in a package as well as practical software for the full use of this device. Books , Photographs , Textů Done! For shipping to other EU countries visit this page Plustek OpticBook 3800. Für Versand nach Deutschland, besuchen Sie bitte Plustek OpticBook 3800. Chcete doručit zboží do Česka? Prohlédněte si Plustek OpticBook 3800. Chcete doručiť tovar na Slovensko? Prezrite si Plustek OpticBook 3800. Für Versand nach Österreich, besuchen Sie bitte Plustek OpticBook 3800. Magyarországra történő kiszállításért tekintse meg ezt a termékoldalt: Plustek OpticBook 3800.